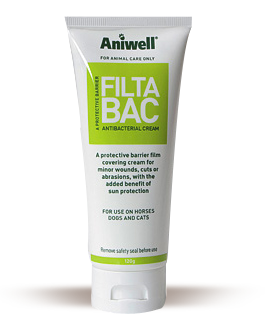 It is suitable for most animals - especially horses, dogs and exotics. Before using on cats seek veterinary advice. undamaged skin and is a total sunblock protecting the wound from any further damage by the sun.